Photo credit: radcliffe dacanay, CC BY 2.0. What should a city do when its residents can’t afford to live there? As Steve Lopez reports for the LA Times, Santa Barbara is creating “Safe Parking” lots so people who live in their cars can have a safe, monitored place to sleep. In the 18 months since my colleague Gale Holland wrote about the Santa Barbara program, the number of parking lots has grown from 20 to 23. The spaces are all filled, with a waiting list of 40 people, and there’s been a slight increase in the number of people who work, but still can’t afford an apartment. In Santa Barbara, the benefits go well beyond having a safe place to park for the night. The clients are linked to services, and 40 of them have moved out of vehicles and into apartments in the last year. But like elsewhere along California’s coast, there just isn’t enough affordable housing to meet the demand, said New Beginnings Executive Director Kristine Schwarz. Even for those with jobs essential to the local economy. 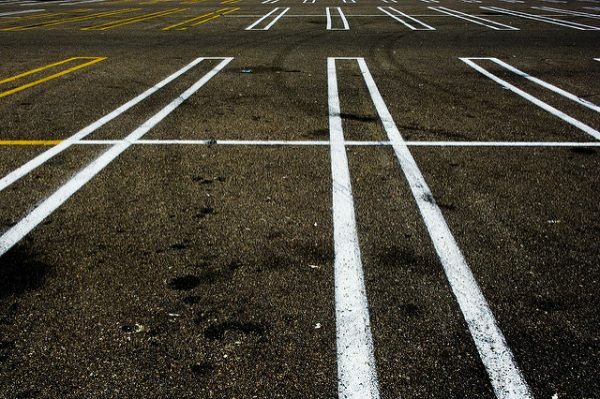 The article urges Los Angeles to follow Santa Barbara’s example and create similar Safe Parking lots — assumedly because it’s easier than building affordable housing.